Ask a curator is an all-day event on September 14th 2016. It’s a way to talk to curators and people who work in cultural venues you normally don’t have access to. It’s open to everyone: museums, galleries, theatres, and more. You can ask anything that you’re curious about or want more information on. Everyone can get involved! Just go to Twitter and ask away. 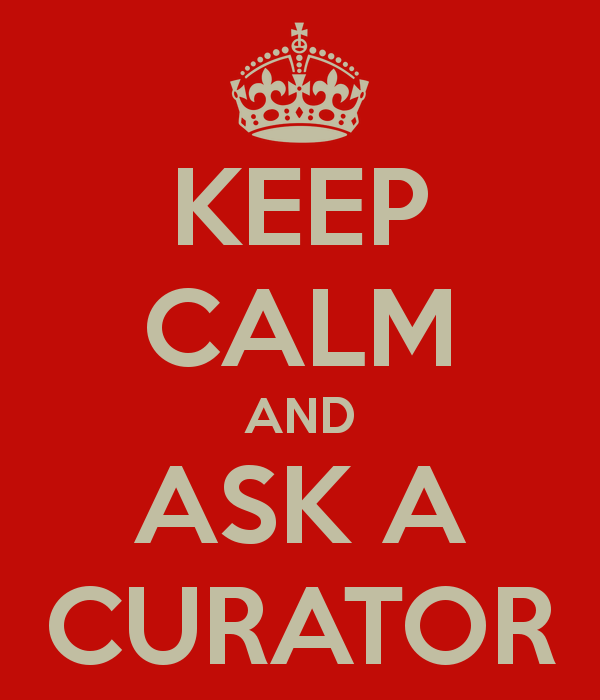 Make sure to use #AskACurator hashtag, but you can also ask questions to specific museums using the @museumname. If you work in a museum, you can enroll your museum by filling out this simple form which will export your information to a spreadsheet to share. On the day you can schedule the time you are going to be there or you can dip in and out and answer questions when you get them. Don’t forget to let your followers know you’re taking part by tweeting or writing a blog post!